After nearly 10 years of use and abuse, my trusty Le Sportsac weekender bag is close to giving up the ghost. 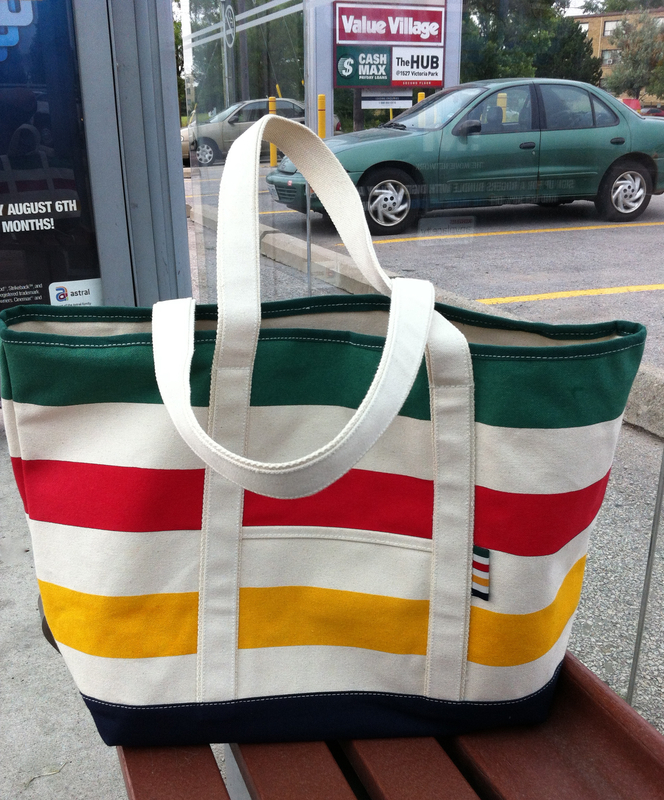 That’s the excuse I made when I bought this Hudson’s Bay Canvas Zip Tote on the weekend. That and it was on sale for only $25.